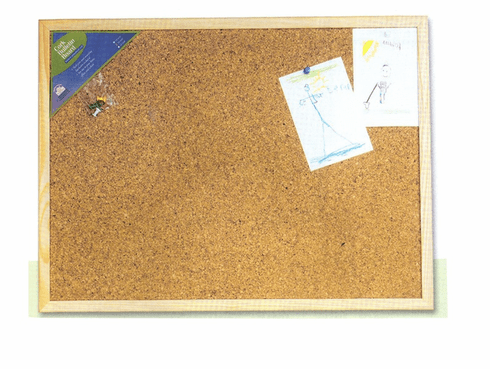 Natural cork-wood framed bulletin board. push pins and mounting hardware included. Measures 24" x 18".